SOUTHFIELD, MICH (WXYZ) — On Tuesday, March 12, IHOP restaurants will once again offer each guest a free short stack of their famous buttermilk pancakes on Free Pancake Day. This family-friendly tradition aims to raise needed funds and awareness for Beaumont Children's, a Children's Miracle Network Hospital. 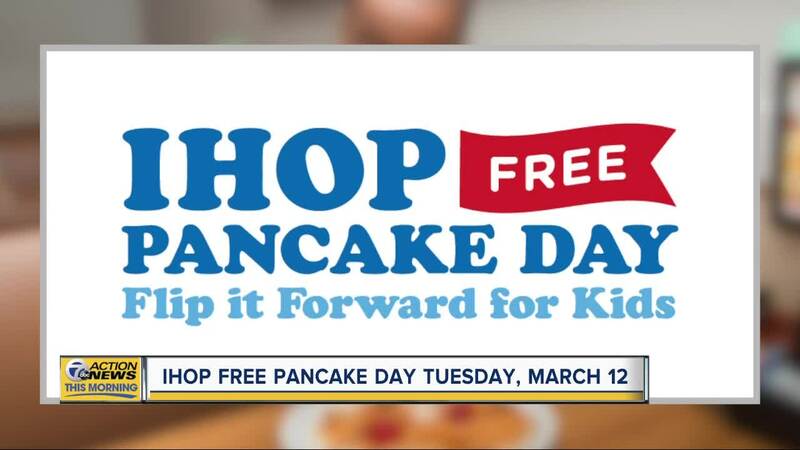 For every short stack of buttermilk pancakes served on Free Pancake Day between 7:00 a.m. and 7:00 p.m., IHOP guests are invited to make a voluntary donation to Beaumont Children's to help improve the lives of pediatric patients. Since 2006, IHOP National Pancake Day has raised more than $30 million to provide life-saving treatment, programs and medical equipment for pediatric patients across the country - including the 200,000 children treated annually at Beaumont Children's.